Nestle is encouraging anyone stressed out by Christmas preparations to have a break, with a pithy outdoor and print ad. The brand has tweaked the foil tear that forms when anyone opens a KitKat to show a Christmas tree set against a wintry, foily backdrop. 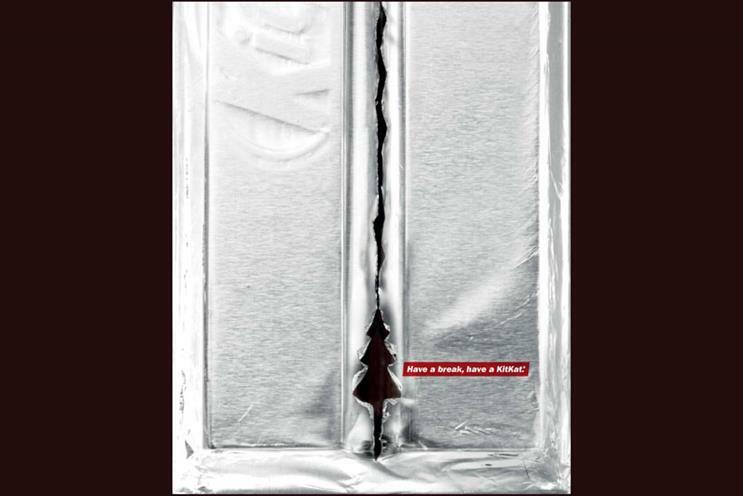 The ad is a clever visual trick that plays on the brand’s ‘Have a break, have a KitKat’ slogan, using the darkness revealed through the torn packaging to create an image of a Christmas tree, while the surrounding silvery foil conjures an icy landscape.